We are always available to answer any question or help with any concerns. Simply call, email or speak to us when you’re at the Centre and we’re happy to help. 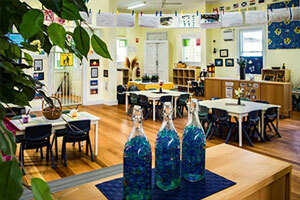 We are committed to providing an inclusive learning space for all children in all aspects of our curriculum. As a Centre we network with a range of outside professional services that can assist you and your family and provide additional support or services as needed. Educators may also refer you onto specialised services if we feel your child needs any additional support or services to help them reach their potential. What are the qualifications and number of educators? We have five educators working per day in our Centre plus separate admin staff. The Child care educators range from Teaching Degree, Diploma of Children’s Services or a Certificate 3 in Children’s Services. Our Director (also qualified) is a non-teaching Director and is on premises daily. This ensures all teaching staff dedicate their time to children at all times. What if I am running late to pick my child? Our closing time is 5:30pm. If you are running late, please ring the Centre and notify educators of your location and the estimated time you will arrive. Pickups after 5.30pm may incur a late pick up fee as two educators will need to stay back to supervise your child. No, your child does not have to be toilet trained. We have nappy change facilities. When your child is ready to be toilet trained be sure to inform one of the educators as the team will be able to help and support your child in making toilet training a safe and smooth transition. It is important to follow your child’s lead and needs in regards to toileting. We understand that it can be difficult at times and are happy to discuss this with you at the time. Ultimately the decision is yours and we’ll work in with your wishes. Each day your child attend you will need to bring their lunch, a piece of fruit (to share), a water bottle, their school hat (given on first day), labelled spare clothes. If your child is in nappies you need to provide the nappies and wipes and any creams you would like us to apply. Fitted cot size sheets are also a requirement for sleep time. You will be given an electronic family info pack. This will contain everything required. At Botany Bay Pre-school we promote healthy eating, therefore healthy lunches are welcomed. We do not feel it is our responsibility to decide what foods parents pack for their children. You know best what foods your child enjoys and are happy to eat. Instead as early childhood educators we are in a position where we educate children and families on the benefits of healthy eating and provide links and resources to help families achieve this. Do you teach the children to read and write? We do not have formal classes or lessons for children to ‘teach’ them to read and write. Instead we provide an environment where children are exposed to pre literacy and mathematics through daily interactions and play within their learning environment. This is parallel to our philosophy and belief that children learn through play and should enjoy being present in the moment testing ideas, challenging their thinking and developing new and improved ways of understanding their world. We provide opportunities to expose children in an environment that encourages expression of meaning. Children are not accelerated to complete tasks such as writing their name when they are not ready. This will however occur in a time your child is comfortable with. Our Children will be well prepared in this area for the start of primary school. We are an accredited Centre therefore benefits and rebates can be claimed. The benefits and rebates can be paid directly to the Centre by family assistance therefore reducing the out of pocket expenses for families. Please feel free to contact us for current fees. If your child is unable to attend pre-school due to illness, it is classified as an absent day. It is appreciated if you call the Centre on the morning so we are aware not to expect your child. It is also appreciated if you are aware of the nature of illness, this will allow us to keep an eye on contagious illnesses to safeguard all children. Do I pay for care if my child is sick? Yes, fees are still charged for sick days. Family assistance allocates 42 absent days per year per child. These absent days include sick days, public holidays, personal holidays etc. Child Care Rebates and Benefits are still paid by for these days of absence. What if my child becomes sick while at pre-school? If you child becomes sick while in care, you will be contacted and you will need to collect him/her. Some of the reasons your child might be sent home include; temperature, persistent cough, rash, if they are vomiting and or have diarrhea. Can I have other people collect my children? If you are unable to collect your child from pre-school for whatever reason, you will need to notify the Centre and provide written permission. On enrolment you will fill out an authorised person collection form, allowing people other than guardians to collect your child from the Centre. It is appreciated if you let the Centre know who to expect to collect your child. Does my child have to be immunised? We follow NSW Heath and Child Care Regulations regarding immunisation in child care. These rules can be found on the NSW Health web site: https://www.health.nsw.gov.au/immunisation. Feel free to contact us if you have any questions regarding immunisation.